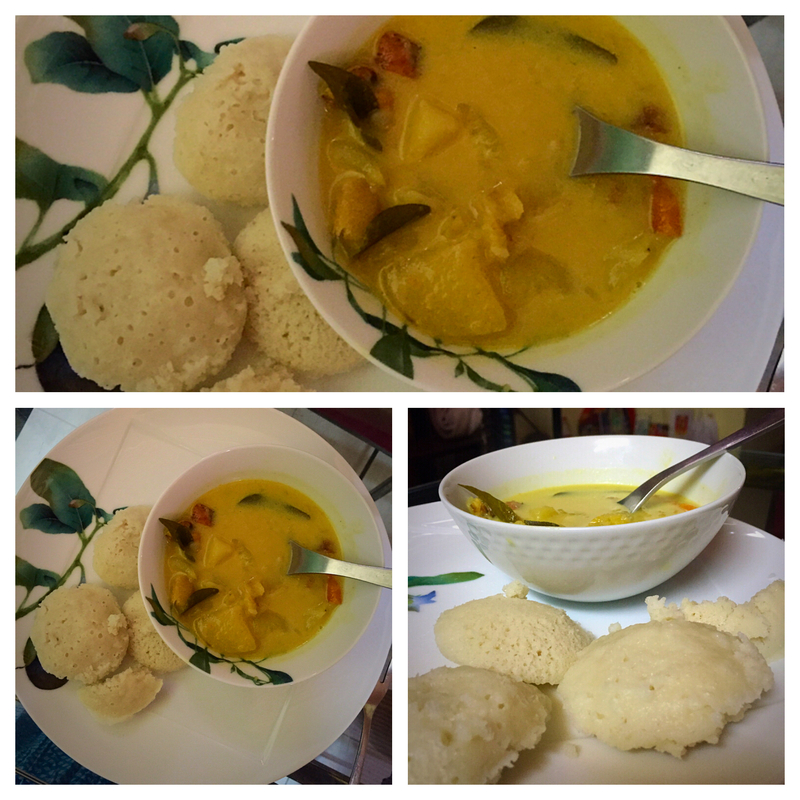 I was the guest of Nisha in Bangalore and one morning she prepared us an amazing vegetable stew with idlys. Idly is a very savory, steamed cake made of fermented black lentils and rice. But that is the subject of an other recipe. Dice the vegetables and put them into pressure cooker, add water just the cover them. Cook for 15-20 minutes (3 whistles long) Open the lid, add the coconut milk and boil the mixture for another 5-6 minutes without the lid on.